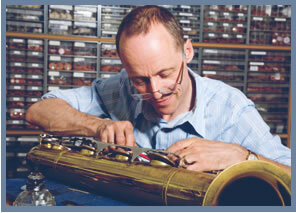 Tuning and Repair - Find piano tuners, instrument repairers and experts near you. TuningAndRepair.com makes it easy for you to find a musical instrument specialist near you. If you are a piano tuner, luthier, brass / woodwind specialist or other expert, please register today - we can help you to promote your services. If you are looking for a tuner or specialist, please use our local search box on the right. To Join Us - Click the big button below.